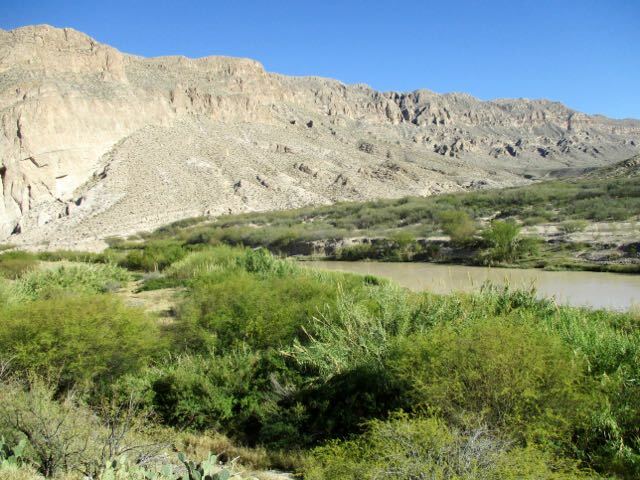 Boquillas town is actually the small village in Mexico that sits on the eastern side of Big Bend National Park. It’s where many tourists cross to hike in Mexico. 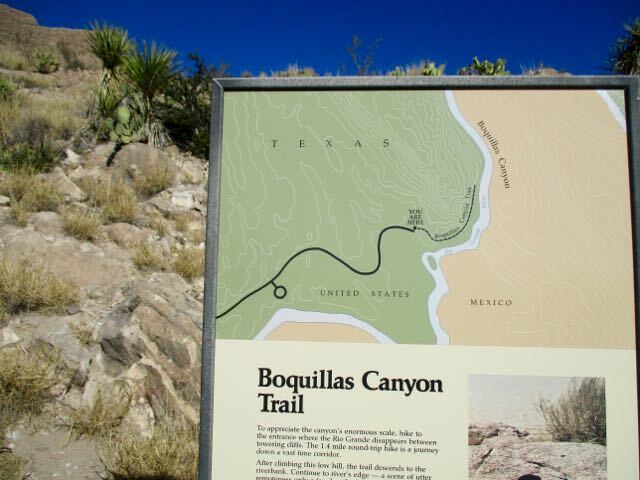 A guy I met in the hotsprings recommended the Boquillas Canyon day hike. It’s about 1.5 miles return on the American side. 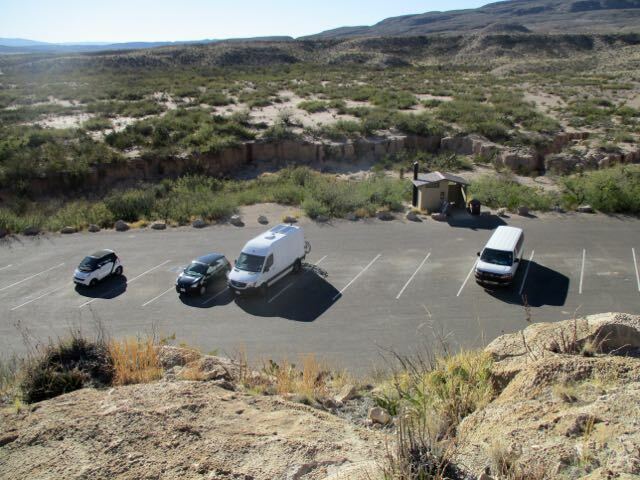 From the parking lot you climb up and over a bluff to walk alongside the muddy Rio Grande. 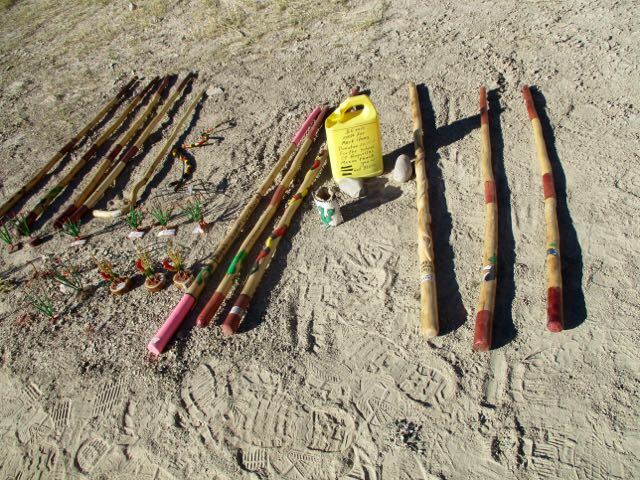 Supposedly these souvenirs on the beach ($6 each) were a fundraiser for the Boquillas school. There was a donation box too for the Mexican fishermen who SING for tourists. It is an interesting short hike. Boquillas canyon is not as steep or sheer as Santa Elena. But it is impressive. This entry was posted in coastal, desert by Rick Mc. Bookmark the permalink.